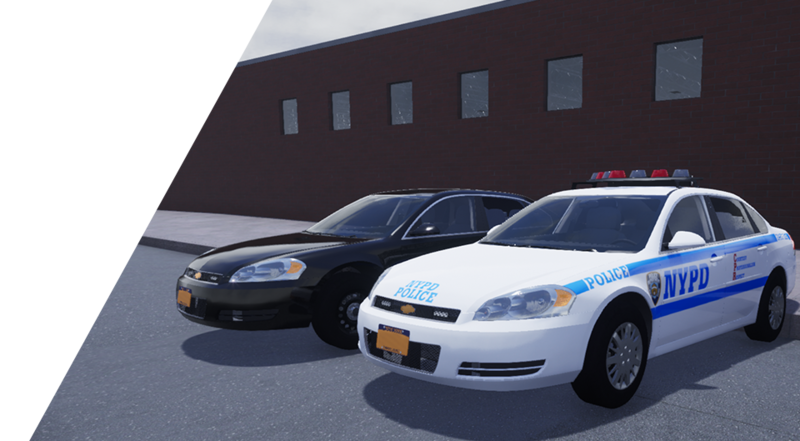 Responding is a First/Third Person Shooter with emphasis on the daily routine and work of the NYPD, NYSP, EMS and Fire Services in the State of New York. While the focus is still heavily emphasized on the city of New York itself, we aim to create a lush and varied outback. Responding, will feature a massive landmass to explore, ranging from islands, forests, hilly and mountainous areas and lush beautiful beaches. The game will even let you explore the city of New York. What shoes do you want to be in? Where do you want to go? The choice is yours. You'll be thrown into three of the most rewarding careers within the world. From running into a burning building or saving someone's life to chasing down an armed criminal, you'll be experiencing a variety of realistic events and scenarios. Work alongside fellow NPC firefighters, EMT's/paramedics, and police officers or choose to play with friends on our servers. The city around you will be a fully immersive and realistic environment. You can be getting coffee from a street vender and a few seconds later you can be chasing down a purse thief. There will be events occurring around you at random and it is up to you to do what is right. We are trying to create a unique detail of customization in responding, where you will have the ability to not only be able to customize your character with different belts, vests, uniforms and equipment but also be able to customize the vehicles and the weapons in detail. Choose your duty rifle and the location of the rifle in the vehicle, for when you prefer your rifle in the trunk or on the divider in the vehicle. Fire is not the only Challenge for the FDNY. As the largest Fire and Rescue service in the United states and the second largest in the world, we aim to bring you the challenges that face Firefighters in ones of the busiest cities on the planet. Tackle fires, rescue victims, attend Crashes, provide access, utilizing faithfully recreated Trucks and Engines, equipment and uniforms and build on your life-saving career. Courtesy, Professionalism and Respect, the bywords of the Police Department. To protect the community and prevent Crime, the thin blue line stands alone. Pick your career path, justify your use of Force against the suspect, arrest or use deadly force to protect yourself, your colleagues and the public. Are you ready for the streets? Are you prepared to put your life on the line to save a life? The FDNY EMS are on the front line, saving life and promoting recovery. Regardless of the victim, you will use the latest equipment and techniques to ensure they pull through, working hand in hand with the other departments to protect the citizens of NYC.